On Friday, June 9th, 217 we would love for you to start our your day with us! Come by our community for a quick visit between 7-10am and see what makes Brookdale Mt Hood Assisted Living such a special place. Meet the staff and team that specialize in providing customized personal care solutions to seniors in a home-like environment. 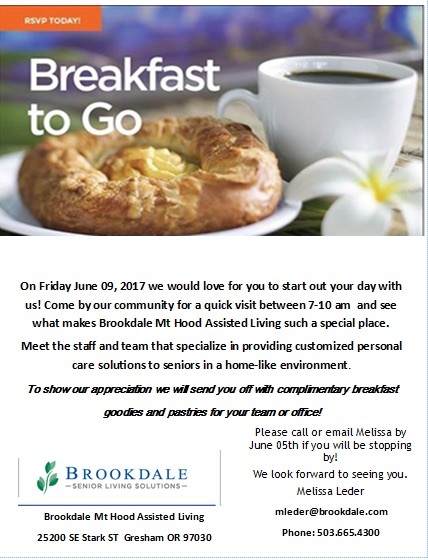 *To show our appreciation we will send you off with complimentary breakfast goodies and pastries for your team or office!